Professor String is a leading provider of online musical instrument string research and information. We have a continuously growing readership base that is predominately professional musicians, music retailers, and manufacturers. Advertisements unrelated to music are not allowed. Advertisements related to music are encouraged. The written content of Professor String is brand neutral with regards to musical instrument strings. Therefore, advertisements for various brands of strings are not allowed. If you are a retailer of strings, you are allowed to advertise your company as long as a particular brand of strings is not contained within the advertisement. 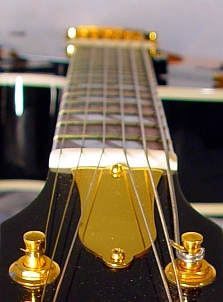 Instrument manufacturers are allowed to advertise with exception to their own brand of strings. A single 125 x180 pixel ad runs $29.95 per month. If you feel you meet the qualifications above, you may contact us at ads(at)professorstring(dot)com. All ads are subject to review before being posted to the Professor String website. Once your ad is approved it will appear immediately on the Professor String website. We do not participate in link exchanges.